How advertising works is not a question that has a simple answer. Advertising is a diverse entity and different campaigns work (or fail to work) in a plethora of different ways. Most advertising persuades people to buy things, but how? And who does it aim to persuade? And how are these decisions made? In this Very Short Introduction Winston Fletcher, an expert with extensive knowledge of advertising from the inside, aims to answer these questions, and in doing so, dispels some of the myths and misunderstandings surrounding the industry. The book contains a short history of advertising and an explanation of how the industry works, and how each of the parties (the advertisers , the media and the agencies) are involved. It considers the extensive spectrum of advertisers and their individual needs. It also looks at the financial side of advertising and asks how advertisers know if they have been successful, or whether the money they have spent has in fact been wasted. Fletcher concludes with a discussion about the controversial and unacceptable areas of advertising such as advertising products to children and advertising products such as cigarettes and alcohol. He also discusses the benefits of advertising and what the future may hold for the industry. Start reading Advertising on your Kindle in under a minute. Winston Fletcher has worked in advertising for many years, and is the only person ever to have been both Chairman of the Advertising Association and President of the Institute of Practitioners in Advertising. He has spoken and lectured throughout the world on advertising, marketing and marketing research, and has written extensively on advertising in the media. He was founder Chairman of the World Advertising Research Center, and is a Vice President of the History of Advertising Trust and Visiting Professor of Marketing at the University of Westminster. 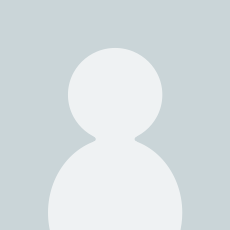 He is the author of leading books on advertising and other business topics including the forthcoming Powers of Persuasion: The Inside Story of British Advertising (OUP, July 2008). Wonderful book. Gives you the perfect well-rounded intro and many further readings if you so choose. I've been hooked on The Very Short Introductions series since I picked up my very first, ("Consciousness" by Susan Blackmore). These accessible, lively and thought-provoking books provide a structured overview of their subject matter for the non-specialist reader. As someone who finds himself bombarded by advertising just about everywhere I look, I was interested to read a discussion of the subject from an expert insider, and Winston Fletcher is exactly that. In a readable, entertaining style, Fletcher gives us a good insight into advertising of all kinds: in print, on TV, on the Internet, on posters and hoardings. He describes how ad agencies are run: the creative people who design the slogans and logos which burrow into our brains; the financial people who buy space and time to run ads, and the admin people who tie it all together. Next he considers how advertising works: what makes it successful, and where it falls down (ads which are misleading, offensive or ethically dubious). As with the best books in this series, Fletcher introduces ideas the reader had not perhaps considered before: for example, the concept that people don't buy drills because they want drills, they buy drills because they want holes. I had not thought along these lines before, but this sort of insight is highly thought-provoking. 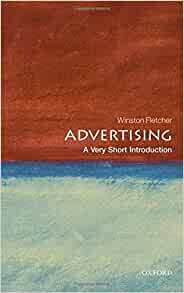 Fletcher is passionate about his subject, and I don't necessarily agree with all his points (an entire chapter is devoted to the benefits of advertising to society, where I incline towards thinking we would do fine with a good bit less of it around). But let's not confuse our views on advertising with our views on whether this book succeeds at what it sets out to. It's readable, engaging and remarkably comprehensive: it does exactly what it says on the tin. 3.0 out of 5 starsSnake Oil? I must firstly conceed that I am one of those who, before reading this book was unconvinced by the effectiveness of advertising or for that matter its morality. Happily, Advertising could hardly have a better advocate than the author whose book is a model of its kind, and yet despite his cogent advocacy I remain utterly sceptical about the effectiveness of advertising or its morality - or for that matter the ability of those involved. Certainly small ads are often very useful, but campaign advertising? For what it is worth I see very little and go to some lengths to avoid being plagued with it. How often for example do I find myself attempting to view a Video on YouTube and having to endure some advert. Frequently I am so annoyed that I switch to some other video long before the ad has ended, but when - for whatever reason I endure even a part of the Ad I feel my annoyance rising; for example, at the moment there is an ad from (I assume) the Irish Tourist Board, where we are asked rhetorically over a picture of rolling hills, why anyone would want to go to Ireland. Well I don't and neither do I care for the accent of the announcer. The ad - as so often - has had the opposite effect to that intended. The best advertising is recommendation (which is not advertising at all) and indeed until recently in the legal profession advertising was illegal - yet I never heard it said that anyone was being deprived of legal representation. The abolition of the restriction has merely conned the public, into making poor decisions, as to their choice of legal advice, and of course increased the price of legal services. Adverts have to be legal, decent, honest, and truthful, but it is the nature of an advert that those are the things that it will not be, for the ad must exaggerate certain characteristics and play down others. In other words it must deceive. Even if it is useful to keep a name before the public (which I doubt) one might think that the marketeers and their advertising agencies would get it right, by now, especially with an established product which needs no introduction, but consider the sheer stupidity of the recent Kellogg's ad featuring Dame Kelly Holmes. What were they thinking of? Does it really costs the hundred million or so of euros a year, which is what they spend, for Kellogg's to force people to buy Corn Flakes? Bought this book hopping to find some topics on guerrilla advertising, which I didn't. Still a good introduction for those who want to know more about the world of advertising!